The Anything Could Happen singer worked with the US electronic star on the track Bittersweet, for the final Twilight movie Breaking Dawn Part 2. She told the Sun: "Me and my ex Sonny (Skrillex) are good mates, we're even going to make music together next year. Our own little project which will be released." She added: "Everyone loves the Twilight track. We work really well together, we've found we really do connect in that way. It will be something a bit more electronic, it won't be like my music." 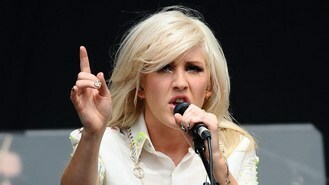 Ellie said of their recent split: "It's literally because we didn't see each other enough. "It's really sad. He's one of my best mates, it's a shame. He is a really beautiful person, he's the nicest human being."